When splitting up your monolithic solutions, you need to know where to look. This post guides you through finding the cracks in your solution, which you can use to split it. In the first part of this series, I wrote about common myths of splitting monolith solutions. 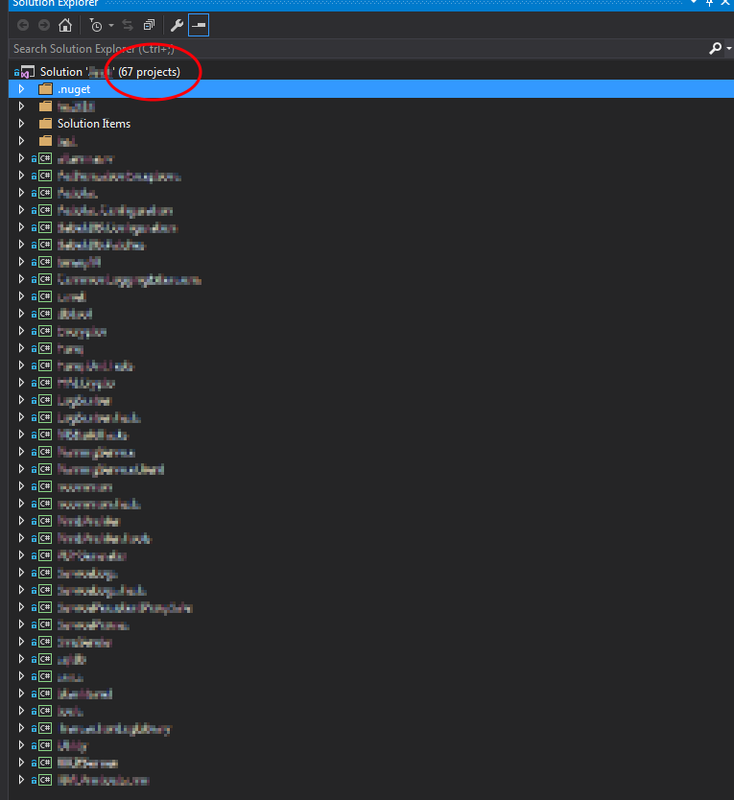 In this post, I will try to find "lines" to cut using the Visual Studio and ReSharper. Let's go! 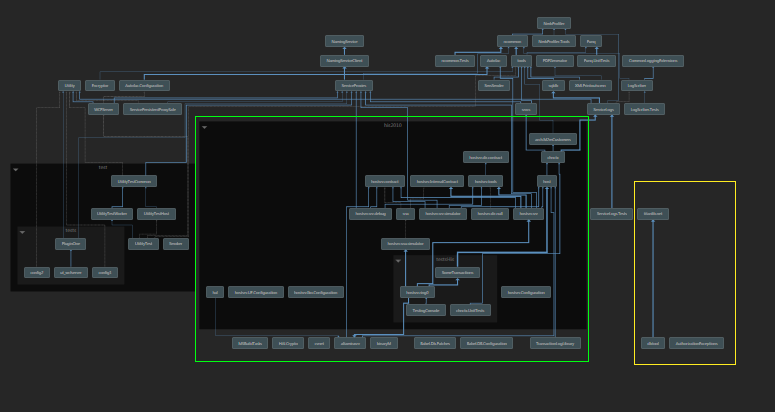 To start working, we need to visualize dependencies. And in this part, ReSharper saved my day. If you know other tools that can do the above, please let me know in comments. There are three projects without a reference to anything else. One is a yellow group on the left. There are more groups like this, but in the overview, I don't see them clearly. My solution folders are marked with black background rectangles. The left-hand side is tests. The green rectangle marks a big separated part. There isn't anything with reference to this part. 1. I have only one arrow down — arrows show dependency between projects. 3. I can easily create compilation tiers. There are seven layers in the above picture. Tools without direct dependency, like MSBuild tasks, file converter, UI test stuff, DB helpers, etc. More complex infrastructure: The above solution is not the only one in the project. Something more? Let me know if there is. As you think about the first two groups, we can easily move on. In my case, it's nine projects from 67. That's ~13% of all projects in the solution. If I exclude tests projects, it is ~18%. So I just make my solution a bit smaller. I have parts that can be easily separated. Dependency management for compilation tiers. Split or remove circular dependencies in grouped projects. Published at DZone with permission of Piotr Stapp , DZone MVB. See the original article here.